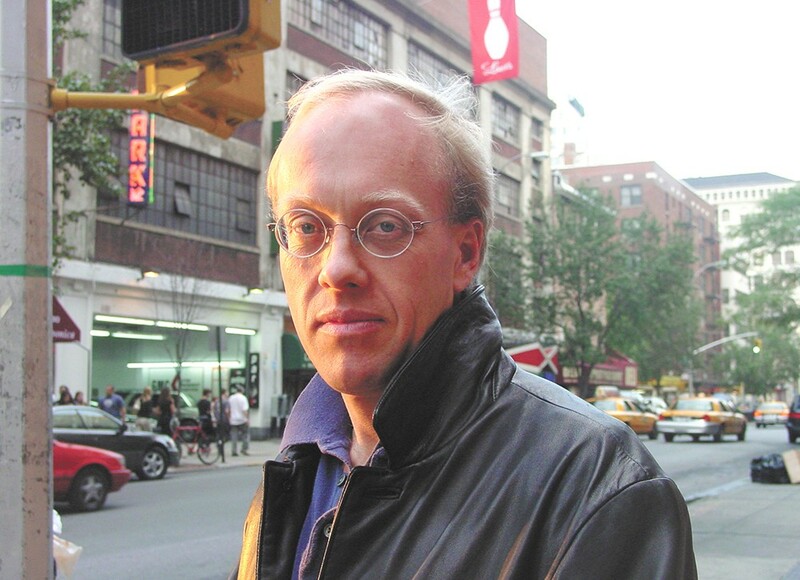 Chris Hedges, the best-selling political author, activist and Pulitzer Prize winner, is visiting Spokane this week for a talk on the "Wages of Rebellion," the name of his forthcoming book examining revolution and its causes. Once a New York Times foreign correspondent, Hedges is now known better for his outspoken criticisms of Israel and the Iraq War and his support of movements like Occupy Wall Street. We caught up with him by phone and discussed the wave of revolution the globe is riding, and what it means for the disenchanted here at home. INLANDER: Why do you think our society is ripe for revolution? HEDGES: In the U.S., half the people live in or near poverty, over six million have been evicted and foreclosed on, and unemployment or underemployment has made life extremely difficult for the working poor. The average worker at Walmart works 28 hours a week, but still falls below the poverty line. You're counted as employed. ... It's a great system for the Walton family, who make about $11,000 an hour. They give food stamp applications to their workers because they qualify. It's this bizarre system where the U.S. government is subsidizing the Walton fortune. Resources go toward the maintenance of empire; meanwhile, schools, libraries, firehouses are closed, bridges and roads are crumbling, our public transportation pales compared to [other countries]. It's a joke. And social services are being cut in the name of austerity. It's a system that's not sustainable. We're set up now for revolutionary backlash. That could be a right-wing backlash. There's a very strong proto-fascist force within this country embodied in the Christian right, the lunatic fringe of the Republican Party, militia groups. Where we're going to go, how that's going to play out, those are unanswered questions, but across the political spectrum, [people feel that] the system's just not working. Congress has a 9 percent approval rating. It's not working for anyone unless you're fabulously rich and inside Citibank or ExxonMobil or one of these other corporations. What about that far-right approach is working better than a progressive approach? The right is doing what all fascist movements do: It's channeling a legitimate rage toward the vulnerable. As people struggle with despair and economic insecurity, you channel that rage towards Muslims, undocumented workers, homosexuals, liberals, feminists, intellectuals. They have a very long list of people they hate. And that's classic fascism. Often the forces responsible for the decline, the Koch brothers and others, are funneling finances and resources into these proto-fascist forces. [This power] is not the fault of the left, because the left in this country was destroyed. Instead, we get faux liberalism embodied in figures like Bill Clinton and Barack Obama, who speak in the traditional 'feel your pain' language of liberalism while assiduously serving corporate power. Clinton understood that if he did corporate bidding, he'd get corporate money. In 2008, Obama actually got more money [than the Republican Party] and he has continued that tradition. Obama's assault on civil liberties has been more egregious than the assault under George W. Bush. Obama passed Section 1021 of the National Defense Authorization Act, which overturns over 120 years of domestic law and permits for the first time the military to be used as a domestic police force and seize American citizens who 'substantially support' al-Qaeda, the Taliban, or 'the associated forces' — another nebulous undefined term — put them in military facilities and strip them of due process until 'the end of hostilities.' In an age of permanent war, that's forever. Well, I don't know that they're the dispossessed. Occupy was a largely white movement of the children of the middle class. They're what [the Russian revolutionary anarchist Mikhail] Bakunin calls déclassé intellectuals, those whose expectations for their position in society could not be met. After college, they're heavily in debt, working at low-wage jobs, they realize the system is not going to offer the opportunities they once expected. Unemployed lawyers, journalists, teachers. Bakunin argued that these intellectuals were vital to any revolutionary movement. Revolutions are not just carried out by the poor. Many of the poor are more easily seduced into these proto-fascist formations that work on behalf of the elite. So when you have a group of déclassé intellectuals marrying itself to a dispossessed working class, it becomes dangerous because that class of college-educated disaffected come equipped with managerial and ideological tools that make revolution possible. We have seen the rise of that class, building alliances through Black Lives Matter, through Occupy, with a beleaguered working class — a prerequisite for successful revolt. Yes, and [anarchist and political activist] Alexander Berkman writes that all revolutions are invisible, like a pot with boiling water you only notice at its eruption. When we look at the utter disconnect between how we describe ourselves as a democracy and the reality, as that gap widens, those ideas and that language are rapidly losing their credibility. Once they've lost it, these systems of power have only one thing left and that's naked force, which they will use, but at that point they're exposed for who they are. I think that process is something that's well underway. The bottom line is: There's no possibility to vote against the interest of corporations like Goldman Sachs. You can't do it. What leverage does that leave for people who are getting to the point of wanting to make it stop, and what role does technology play in that? We're not going to bring about any kind of realistic change sitting in front of computers. In the end you're sitting alone in front of a screen: exactly what the state wants. If it comes, it's by pulling people into the streets on a sustained basis, not with violence, because we can't compete with the state in terms of violence. It will come by discrediting the system itself. I saw in East Germany tens of thousands marching through the streets of Leipzig. In the fall of 1989, the dictator [Erich] Honecker sends down an elite paratrooper division to fire on the protesters in the streets who refused to comply. Honecker managed to hang onto power — after having had it for 19 years — for another week. Those who are tasked with the implementation of control, the police, the bureaucrats, the civil servants; they know the system's rotten. The hope is that you create enough defections within these systems to create paralysis. When these forces will no longer protect that tiny oligarchic elite, they're finished. In this way, most revolutions are fundamentally nonviolent. Do you believe that as these interlocking crises affect more of us directly, that this revolutionary consciousness will bloom as that anger and knowledge spreads further through the social strata?